A japonica hybrid which has lovely creamy-white lacy spires of flowers in summer. The leaves are dark green and the plant is particularly effective in dappled shade under deciduous trees or by water, but must have a constantly moist or even boggy soil, especially in summer. The flowers are slightly scented and cut well. Can be planted in sun if your soil is moist enough. 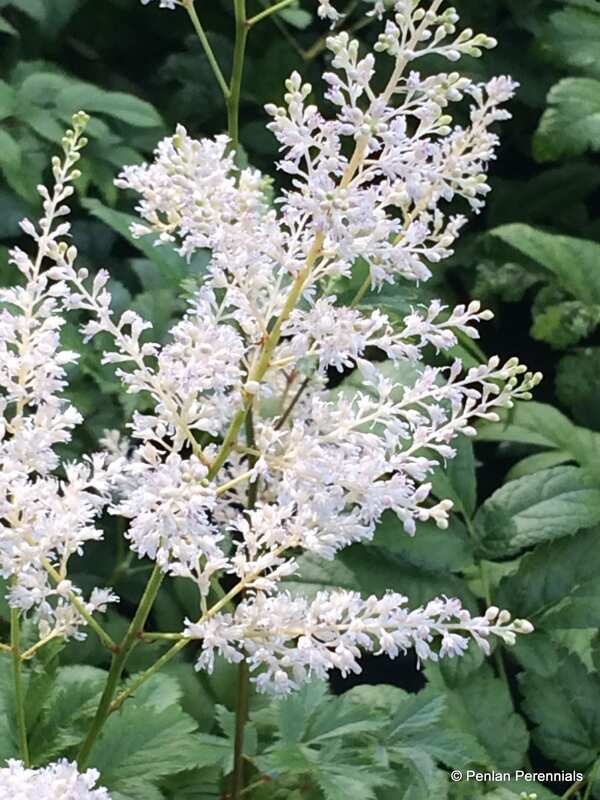 Spent Astilbe flowers look wonderful in frosty conditions so cut down in spring, rather than autumn. This is also the best time to propagate by division.